Anonymous, 24 May 2017I love my Moto X I have small hands and it is perfect for me and easy for me to hold. But now ... moreyes moto x is very fast and i have being using it for almost 4 years now i don't have any fault. 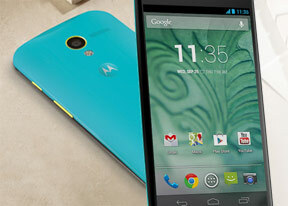 I love my Moto X I have small hands and it is perfect for me and easy for me to hold. But now it is outdated and I have to find something that is comparable and it is very difficult! My Moto X 1st gen goes into a soft lock after turned on for only a few minutes. Can't access anything on the home screen and the clock doesn't even work so my alarm is useless. Could this be a software issue since the most recent update? My back camera is not starting. After enquiring, I was ibformed that this problem is with all moto x phones and cannot be solved even by authorised service centre. Kindly help. I absolutely loved my moto x ! Then 9 months after I bought it , the charging port broke. I had it fixed 3 times at a local phone repair shop.And it went out the 4 th time, I gave. Up. Then was told that moto x was "known" for having charging port problems. I wish I had known that before I got it fixed 3 times.! !